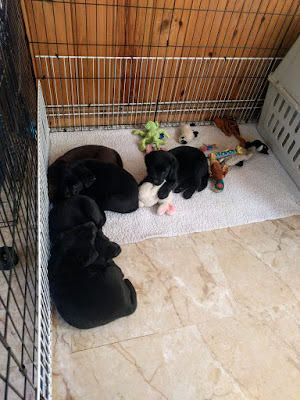 My goal is to breed intelligent, healthy, sound Labradors with correct conformation, classic Labrador temperament, and a low to moderate energy level. Smart, sound puppies with an eager-to-please attitude and a kind, loyal temperament are priorities. The sires are selected based on their temperament, conformation, health clearances, and pedigrees. My dogs are the American show or bench Labradors, often referred to as English Labradors. I breed blacks and chocolates. I usually have 1 or 2 litter a year.